Just a week before the show I realised Slash was coming back to Amsterdam. 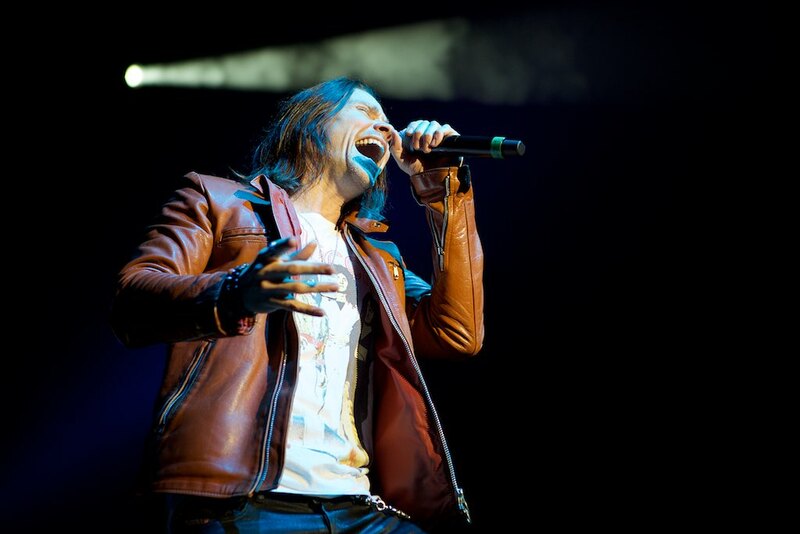 I have see him play his solo shows with Myles Kennedy several times before in smaller venues, festivals and even the Heineken Music Hall and he never gets boring or disappoints you. Since I got invited to the show I was looking forward to this night a lot. While traveling towards the venue I started wondering who would be supporting and when waiting in front the big screen showed a known name. Monster Truck is a Canadian rock formation who isn’t that original but they are so damn effective. Both at Speedfest (2013) and at Roadburn (2014) they played a solid set packed with extremely catchy songs. Tonight they did the same thing and they got the place moving, especially in front of the stage. Downside was the volume and quality of sound which wasn’t too good at the side of the venue. You could easily hear people talking all around you non stop. But with songs like Old Train and the energetic style of guitar playing by Jeremy Widerman it isn’t easy to not start moving. But the real party starts when the first tones of You’re A Lie sets in. During the entire set, which lasted for more than 2 hours, the crowd went nuts. On all balconies, in the front and all across the venue people were dancing, screaming along and admiring the variated set played by the Conspirators fronted by not only Slash but also Myles Kennedy. Obviously the recently released album World on Fire, to which the tour thanks its name, get a lot of attention during the show where 7 songs get played. But the old school fans also don’t have anything to complain with 7 Guns N’ Roses songs of which Double Talkin’ Jive had its live debut. Halfway through Rocket Queen Slash plays a 16 minute solo which some people might think is a little bit too much. Some old tricks return during the set where bass player Todd Kerns sings on Doctor Alibi and of course the night ends with Paradise City and when the confetti gets blown into the venue the party is complete. 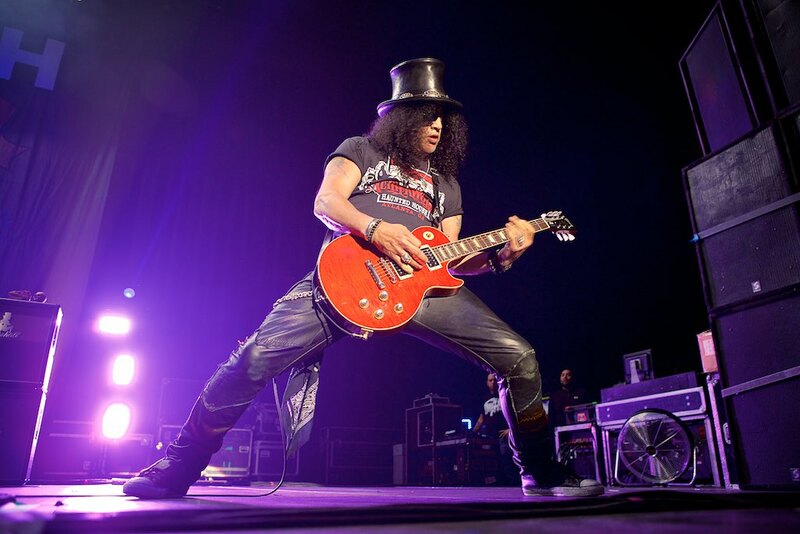 Slash once again showed he can give a night packed with entertainment which gets appreciated by his younger fans and the older rockers who have been following him throughout his career. A rock show packed with solos fronted with the best singer Slash could get his hands on and which proves to be a solid formula.